1. Heat oven to 375°F. 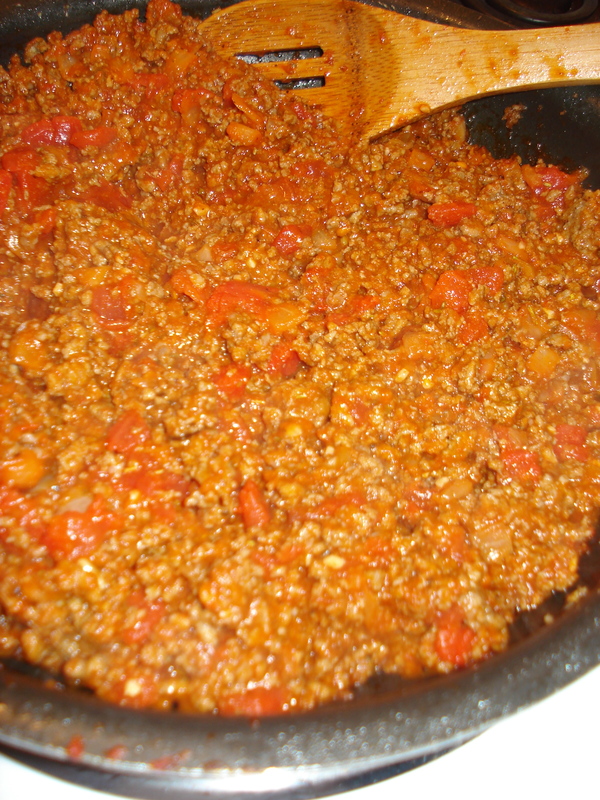 In large skillet, cook ground beef and onion over medium heat for 8 to 10 minutes or until beef is thoroughly cooked, stirring frequently. Drain. 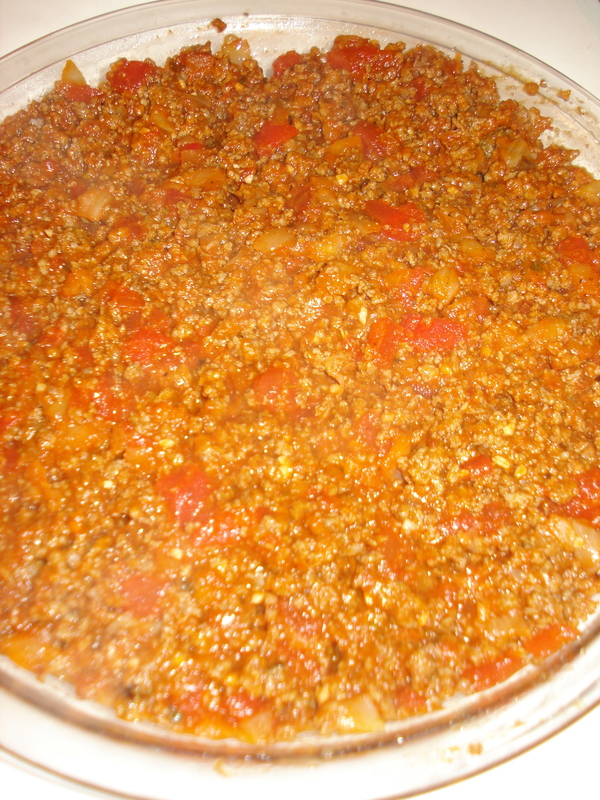 Stir in pasta sauce and diced tomatoes; cook until thoroughly heated. 2. 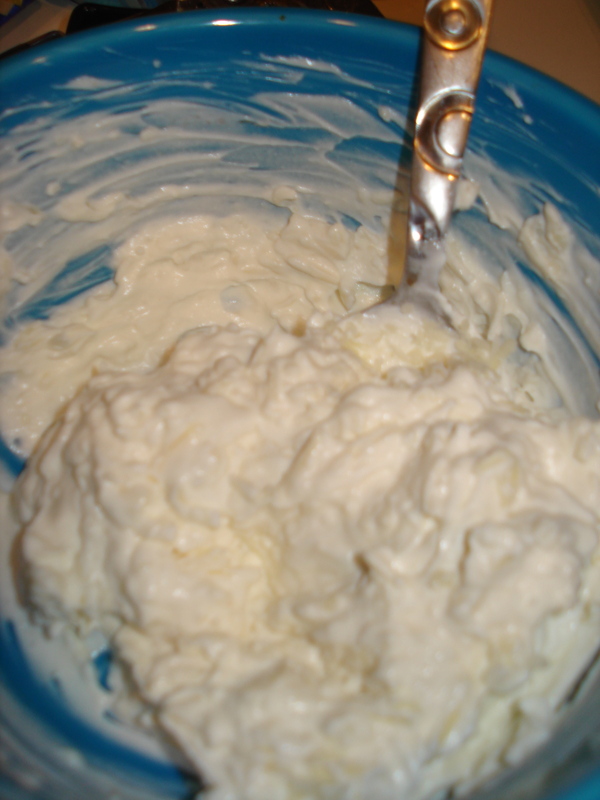 Meanwhile, in medium bowl, combine mozzarella cheese and sour cream; mix well. 3. Pour hot beef mixture into ungreased 10-inch glass deep-dish pie pan (If you don’t have one, any kind of baking or casserole dish will work!). Spoon cheese mixture over beef mixture. 4. 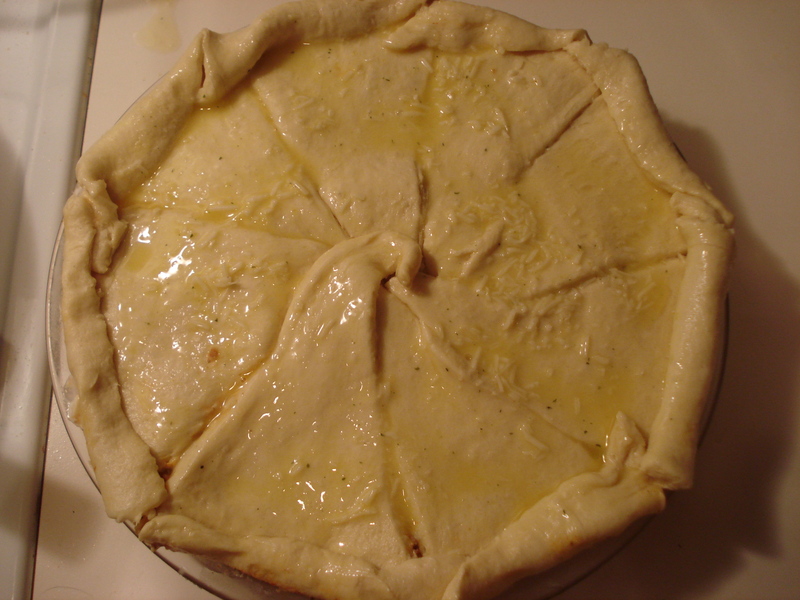 Unroll dough and separate into 8 triangles; arrange points toward center over cheese mixture, crimping outside edges if necessary. In small bowl, mix Parmesan cheese and butter. 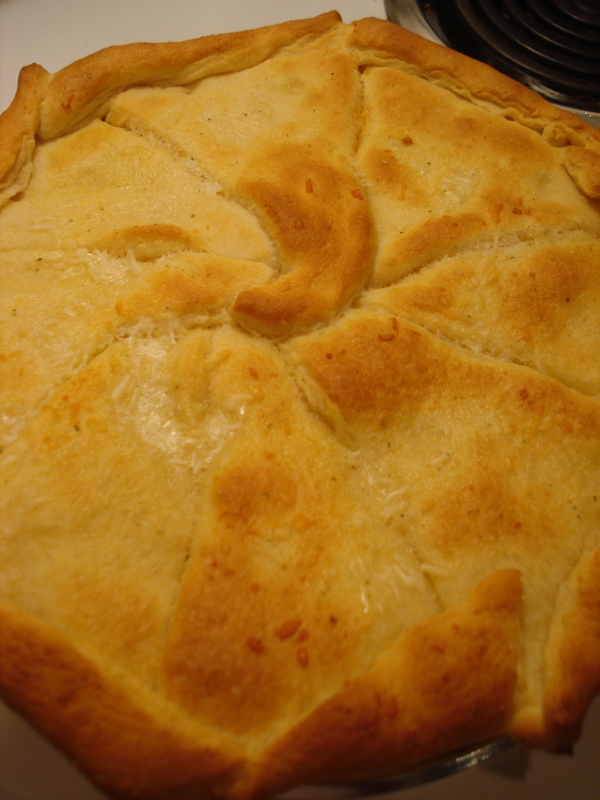 Spread evenly over dough. 5. Bake at 375 degrees for 18 to 25 minutes or until deep golden brown. Kind of pretty right? Enjoy! This sounds – and looks – so cool!